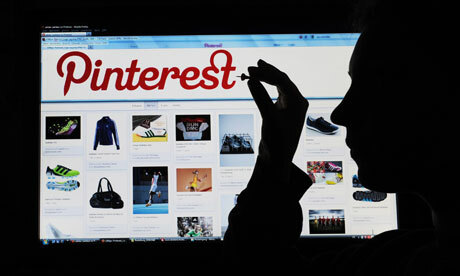 The e-commerce potential of Pinterest is a key reason for retail brands to include the channel within digital marketing strategies. Social networks like Facebook, Twitter, YouTube & Google+ have become almost mandatory channels for brands' online marketing efforts. Yet the question for some still looms over Pinterest. Since its launch in 2011, the popular online pin-board now boasts a global user base of 70 million, with over 2 million of these users hailing from the UK according to SemioCast. Amazon has responded by recently introducing its own version of the pin-board integrated within its site titled Collections. While Amazon might have a clear distinctive advantage through its own on-site build, other retailers will be hard pressed to see returns equalling its success with a similar move. Research conducted recently by Vision Critical concluded that "Pinterest is the network most likely to drive spontaneous purchasing." This discovery speaks dividends about the network considering its smaller user base in comparison with the larger social networks. However, it is one that makes sense. Pinterest offers a visually, aesthetically pleasing user experience that, when coupled with the right product imagery, can provide a sizeable return, particularly among tablet users. The study also revealed a process labelled as "reverse showrooming" – where consumers are now browsing products online on Pinterest and then returning to bricks-and-mortar stores to make purchases. This type of purchase process and consumer journey is currently difficult to track, but the study proves it exists, with 41% of its surveyed users admitting to partaking in this activity. User-generated reviews have a part to play as well – bustling communities on the site are contributing their thoughts on product pins in comments and these reviews are factoring into purchasing decisions. Larger brands have taken to the platform, and ASOS are a great example of a brand pinning content that is not directly from their website to drive sales leads that inform purchasing decisions. You'll find countless great pins on ASOS page boards, with images ranging from Drew Barrymore in denim jeans, to trendy festival goers at Glastonbury. The practice here exemplifies its brand identity and company values in a way that is natural to Pinterest, resonating strongly with its user base, enhancing discoverability and building brand awareness. IKEA is another example of a brand using Pinterest to explore its mechanics boasting a PIN it to WIN it competition on its own channel linked to Facebook. The concept is similar to the well known sharing mechanics we see on Twitter and Facebook respectively, and is a great way to promote brand awareness among Pinterest users and their networks. However, IKEA is also culpable of ignoring a notable best practice in this instance – the lack of product price pins. Shopify's studyon the network suggests pins with labelled prices receive 36% more likes than the average pin and people referred from Pinterest are also 10% more likely to buy the product. Understanding where your audience are talking and interacting is essential to any digital marketing strategy and Nike is a good example of a brand that has done just that, with its Nike Women's board that addresses Pinterest's predominantly female userbase. Interestingly however, if you look back at a recent report by ComScore – the UK user demographic has changed dramatically in terms of monthly users and is now nearly 40% male. What's clear overall is that Pinterest has become an integral component to larger retail brands' digital marketing campaigns. Brand discoverability, the building of brand equity and the emerging e-commerce opportunities are three key reasons why retail brands should be using the online pin-board. The channel cannot succeed on its own either. All of the top brands cited in this article have integrated their use of the channel with other key social networks like Facebook and Twitter, illustrative of a coherent, thought-out social media strategy necessary for success.